Visit us at www.checkerflagautos.com to See More Pictures and get additional information. You can also Apply for Financing on our website, get directions and more. Guaranteed Credit Approval for EVERYONE! Here at Checker Flag Auto, we replenish our inventory on a daily basis so, there is always something new to choose from! We have financing for all levels of income and credit. We will get YOU approved!!! *If you don't have a way of getting here, you can utilize the Croydon Train Station and we can pick you up so you can drive home in your New Car! * Call us today at 215-785-2212 or call Joe cell 2673332777 to set up an appointment for a test drive!! Checker Flag Auto is Family Owned and Operated selling only the best Quality Cars, Trucks, Vans and SUV s that we can find. BUY WITH CONFIDENCE ! Message: Thought you might be interested in this 2007 Ford Explorer Sport Trac. Information deemed reliable, but not guaranteed. Interested parties should confirm all data before relying on it to make a purchase decision. All prices and specifications are subject to change without notice. Prices may not include additional fees such as government fees and taxes, title and registration fees, finance charges, dealer document preparation fees, processing fees, and emission testing and compliance charges. Internet special price may not be compatible with dealer sponsored or subsidized subprime financing. Checker Flag Auto is here to help you find the ideal vehicle to meet your needs and your budget. 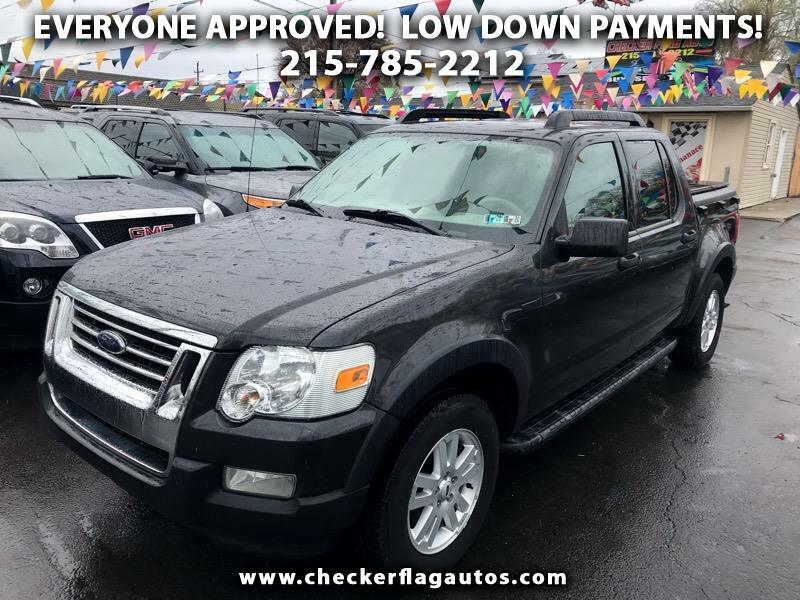 Check out our selection of top quality pre-owned cars, trucks, suv's and vans today!